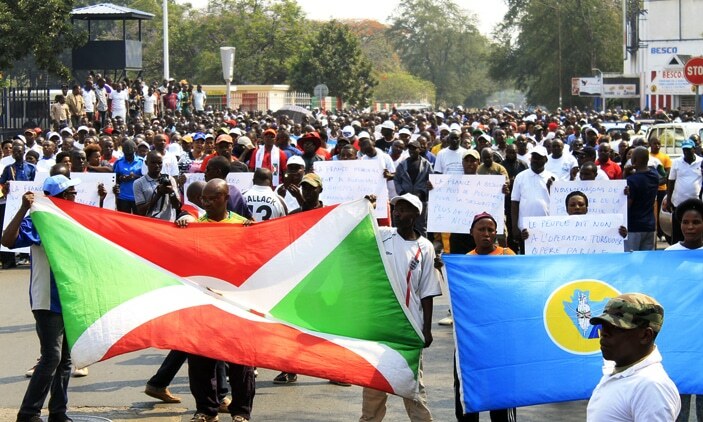 The Burundi Government on Wednesday sent a verbal message to the United Nations Human Rights Council (UNHCR) ordering them out in two months. According to French news agency, AFP, the government also wants all international employees redeployed in the two months time frame. “All international staff must be immediately redeployed and the office has two months to pack up and close its doors,” a foreign affairs ministry staffer told the agency. This has been the situation in the country ever since President Pierre Nkurunziza in 2015 declared that he would be seeking a third term in office. His announcement sparked unrest, which has left thousands dead and some 400,000 people displaced. The state has also been withdrawing from International criticism and made history by becoming the first African country to withdraw from the International Criminal Court (ICC). And again in December 2017, the government shut down four regional offices of the UN rights office in the country.